Been looking at some recipes, and wondering if I can hot fill and hold in woozy bottles if the ph is right. Also interested in how you guys would go about making the sauce. I want it to be a spicy mustard with a touch of honey. Well the brown seeds are the hottest, when you do, make sure you grind and soak them first with water and only water so the chemical reaction can be made then after 24 hours add the rest of the ingredients. 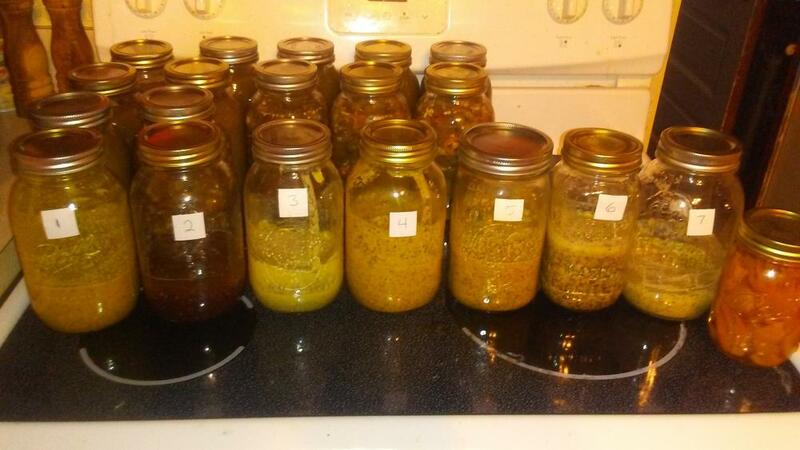 The temp of your liquids will make a difference in the heat of the mustard. Cold liquid = hotter mustard while warm liquid = more mild mustard. DF is right that the chemical reaction takes place quicker/more completely with water alone, but you can soak in just about any liquid long enough and still get fine mustard. I was wondering about the hfh because I wanted to make some to give away for Christmas and send some out to people on here. And I don't have refrigerator space. I need to get another one. Copied this out of the link df posted. Mustard is one of the more powerful anti-microbial plants we know of, and, considering it is mixed with vinegar and salt, it becomes a heady mix no wee beastie can survive in. It is said that mustard will never go bad, although it can dry out. So you think mustard can be cold filled if I vinegar the caps out really good? I can't find my mortar and pestle so I made 3 test batches with the seed whole. The recipe you posted with the turmeric looks good. I used wine instead of water because I figured there would be less chance of it going bad. Gonna see if my wife can find the mortar and pestle and do the same batches with slightly ground seed instead of whole. You can do a modified hfh with jam jars if the pH is good. The metal lids work for hfh and bwb. 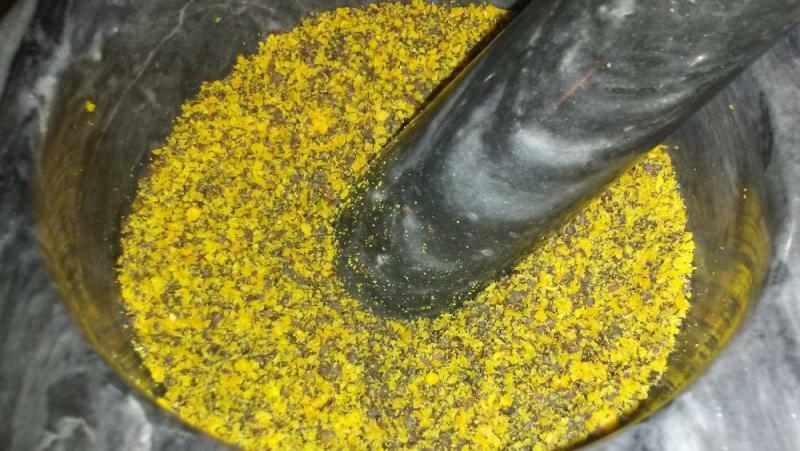 I find mustard seeds at the local health food store in bulk and my local grocery store can also order in bulk (1 pound ) for about the same price as the health food store. Mustards usually have a good dose of vinegar. Depending on the final pH, hot packing 'might' not be necessary. But without an approved recipe, I'd opt for some type of hot pack. Have fun and post pics! PS...I think the stores can also order 5 pound bags. I never thought about having the store order the stuff for me. I just ordered a bunch of woozies so I was hoping those would work. Mustard is a little more expensive to make than I thought it would be too. Ended up doing 8 different batches, Idk if the first ones with the whole seed will turn out. Maybe I can toss them in the blender tomorrow. I have some yellow peppers stored in vinegar and salt to mix into them too. Wanted to try them without peppers first to get an idea of which recipe to use next time. Ended up doing a batch with water instead of wine too. Let the mustard seed sit in water for 10 minutes before adding the vinegar. And did a batch without honey. 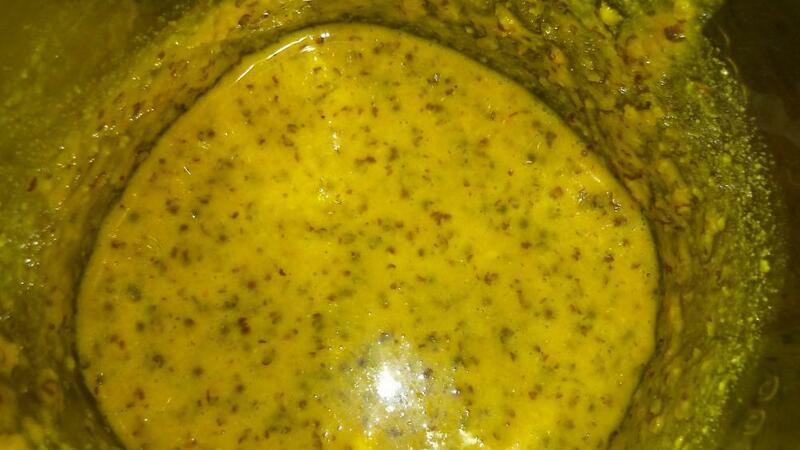 Mustard is kind of fun to make. I will probably try to grow some next year. Thanks everybody! Maybe check in your local stores and in farm supply stores for 4 ounce jam jars. I think trying to use woozies is a whole lot of headache waiting to happen. The mustard would have to be thin enough to get in and out of the bottles. Wider mouthed jam jars seems more appropriate for a mustard that would be scooped with a knife. I don't know what your desired final consistency is, I may be way off base for what you are working towards. Just throwing ideas out there. I was thinking thick but pourable. The Danny cash habanero mustard I have is in a plastic bottle with a "bbq sauce sized" opening lol. I am thinking of calling this Bhut Mustard so a thinner consistency would be alright! At least The Hott Dude will like it. That stuff looks good! Did you find your mortar and pestle? If so , how do the seeds grind up after soaking? I threw the first ones with whole seed into the blender and they ground up pretty good. The smaller batch didn't go as well cause it just all slung on the sides of the blender and didn't contact the places much. The other 5 I used the mortar and pestle on so I can skip the blender on those. Would it be too much trouble to ask for more info on the modified hot fill/hold in the jam jars? It is the same basic process like making jam. As it cools, things shrink and the vacuum is created. The jars are not inverted as the lids are heated in hot water which does the sanitizing thing as well as softening the gasket for a good deal. Not a huge mustard fan but i do like good mustard on some things. 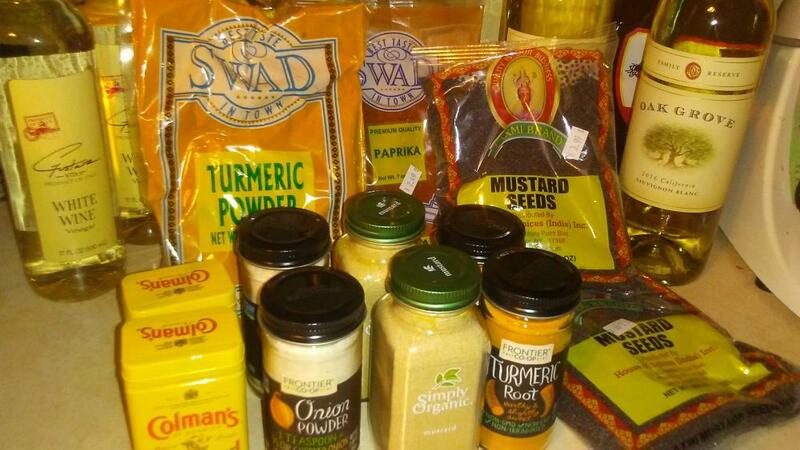 Pops LOVES mustard but commercial brands are loaded with salt and its simply not needed to preserve mustard. Just add a little for flavor. Many of the recipes ive seen online are really low sodium compared to commercial brands. Soooooo it looks like i will be making pops some mustard. Probably a Dijon or Grey Poupon copy cat. Personally, im thinking a Southwest Dijon with just a hint of heat.